Rehearsing at a reasonable volume isn’t just to protect your hearing or avoid complaints, it’s also to help you set the levels correctly. One of the most common rehearsal complaints I’ve heard from bands is that they can’t hear the vocal mix in the rehearsal space. However, this can often be solved by simply turning the guitar amps down slightly. Many bands start by matching the guitar/bass amps to the drums, which takes up a lot of midrange and often results in the amp levels being much louder than necessary. Whilst setting levels for a practice, start by matching the vocals and drums. Once you have those levels set, you can blend guitar amps into the mix. Take some time to play with the EQ on both the guitar amps and the PA to achieve a well-balanced live mix. Many bands rehearse by facing each other in a circle to allow for effective communication between members. However, it’s worth remembering that you won’t be facing each other when it comes to playing a show. Rehearsing in circle formation can easily cause you to become overly-reliant on visual communication; when this is stripped away in a live setting, it can often end in disaster (trust me, I’ve made this mistake more times than I care to admit). Whilst there’s nothing inherently wrong with rehearsing in circle formation, I’d strongly recommend taking time each rehearsal to play as if you were on stage. This’ll allow you to develop your non-visual communication, which is absolutely vital in a live setting. It surprises me how many bands haven’t delegated clear roles to individual members and instead handle the logistical aspects of the band by hoping someone else will take responsibility. Appoint someone to be in charge of scheduling and preparing material for rehearsals. Delegating the role to a sole member will make things much clearer and avoid pointless discussion every time a rehearsal needs to be booked. When appointing a leader, make sure you pick someone who’s well-organised and comfortable with taking charge. Many bands complain their rehearsals are unproductive, yet many fail to properly plan & structure their practices. Going about the rehearsal process in an aimless fashion will unsurprisingly yield aimless results. It’s vital to plan each rehearsal in advance and allow adequate time for each rehearsal goal to be achieved. Videoing your rehearsals is one of the absolute best things you can do to improve both your sound and stagecraft. When you’re actually playing in the band, it’s often difficult to gain a thorough awareness of what you truly look and sound like from an audience perspective. Filming your rehearsal and watching the footage back puts you in the shoes of an audience member and flags up both sonic and visual shortcomings within your performance. I’d recommend reviewing the footage at the midpoint of your rehearsal and holding an active discussion, which will allow you to make the necessary changes in the second half. I’d highly recommend buying a dedicated camera to record your rehearsals to keep everything organized. The best value and most-suitable camera I’ve found is the WEILIANTE Digital Camcorder (link to Amazon). It’s remote controlled and is able to store up to 30GB of data, which will be more than enough for each rehearsal. So few bands do this, despite it being an immensely helpful tool. Buy a cheap notepad and write a few summary notes after each practice. This enables you to effectively track your short and long-term goals and provides a fantastic long-term point of reference. Turning up late to practice severely hinders productivity and shows disrespect towards your fellow bandmates. If you rehearse for two hours a week and consistently turn up 10 minutes late, you lose approximately 4 entire rehearsals over the course of a year. Additionally, if you’re consistently turn up late without a valid excuse, it’s going to ruffle the feathers of the members who are turning up on time. Being punctual is not difficult and will significantly improve both your productivity and relationships with your bandmates. It’s immensely frustrating when other members need to be brought up to speed on material before it can be effectively rehearsed. Learning the material in advance takes approximately forty minutes of your own time, but will save the band many hours in the long run. 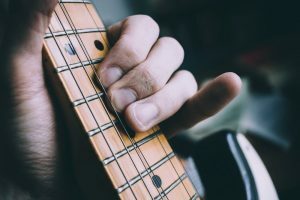 It’s worth noting that the material (especially if it’s original material) doesn’t necessarily have to be flawlessly pre-rehearsed, but you should at least have a decent grasp on it before entering the practice room. Again, it’s worth noting that preparing in advance takes minimal effort upfront, yet significantly leverages your productivity and member relationships when it comes to the practice itself. A primary reason why bands sound sloppy or under-rehearsed live is because they rehearse material solely by running through it as a full band. Whilst rehearsing as a full band is of course a necessary element of effective rehearsal, it limits your ability to fundamentally grasp each individual element of the arrangement (you might not be nailing your backing vocal part if you’re focusing on playing guitar at the same time). Rehearsing the individual elements of the arrangement in breakout groups allows each member to grasp the fundamental aspects of the song, allowing for each part to be effectively incorporated into the full arrangement. Period. It’s near-impossible for two members to work out a part between them whilst a third is noodling away on their instrument. Make sure you restrain yourself during group discussion or whilst other members are working a part out (there will be plenty of time to play, trust me). Whilst you might understandably feel like a complete idiot rehearsing on-stage banter and presence in the rehearsal room, it’s not going to get rehearsed anywhere else. The reason many bands struggle with what to say or do in between songs comes down to the simple fact that they haven’t rehearsed it. In addition, plot out key points where you can tune your instrument, set up effects etc. It’s much better to do this during an extended intro section rather than having to waste time in between songs. When it comes to a live setting, you definitely don’t want to be that band that sets the entire night behind schedule by taking way too long to set up and tear down their gear. This is a one-way-ticket to the ‘bad impression’ list and severely compromises the fruitfulness of your relationships with the other bands, event promoter & venue manager. This can easily be avoided by simply incorporating effective set up and tear down into your practices. Try timing your set up/tear down times and see if you can beat yourself each rehearsal. Whilst it may not seem like much, being efficient and courteous in a live setting shows an extraordinary level of professionalism and significantly strengthens your relationships with other industry operators. If your rehearsal space comes with a backline, there’s a good chance that the microphone situation will be somewhat hit-and-miss. Rooms will often not have the correct number of microphones, or the microphones will be well-used. Investing a small sum of money in a set of rehearsal microphones will save you a lot of headache in the long run and ultimately provide for a much better overall experience. The best value microphone set I’ve found is the Pyle 3 Piece Kit (link to Amazon). This kit comes with everything you need for practice, from clips to cables. It goes without saying that you should be using ear protection during practice. However, the type of ear protection is equally important. Whilst run-of-the-mill foam ear plugs will protect your hearing, they will severely muffle the sound and hinder your ability to identify specific problems with the arrangement (such as slight tuning errors or a poorly-chosen guitar tone). The SureFire EP4’s (link to Amazon) are a great choice as they fully protect your hearing without compromising sound quality. As you probably know, you’re in competition with literally thousands of other bands that are vying for the attention of both audience & industry. As a result, it’s vital to go above and beyond in everything you do as an independent act. When it comes to practice, you want to get your material as close to perfect as you possibly can. If the drum fill leading into the bridge was slightly sloppy, do it again. If the singer came in a millisecond late, do it again. Being an immensely slick live act is one of the best weapons you can have in your promotional arsenal. Consistent progress cannot be made without clear short-term goals in place. Additionally, long-term goals cannot be achieved without a succession of short-term goals leading up to them. Ensure you’re setting effective short and long-term goals and reviewing your progress on a regular basis. Additionally, having an effective & achievable goal system in place provides the band with a consistent sense of achievement, allowing you to both embrace and fully understand your progress. I’d recommend taking a break of at least ten minutes for every hour of rehearsal. During your break, make sure you try and do something completely different (getting food or a drink, having a cigarette etc.) The human brain, much like a computer, often processes information in the background. Taking ten minutes to go and do something else will give your brain a chance to process the information from the first half of the rehearsal, allowing you to go into the second half with a level head. I’d highly recommend using the last few minutes of each practice to plan the succeeding practice. As the triumphs and pitfalls of the your current practice are still fresh in your mind, you’ll be able to best plan the following practice and ensure the right things will be worked on. Ensures consistent growth & improvement: Much like running a race, maintaining a consistent pace creates momentum, ensures progression and almost always triumphs over an irregular approach. Rehearsing consistently allows you to make small improvements on a regular basis, which add up to significant levels of improvement over time. Makes things efficient & affordable: Finding a regular slot that works for all members eliminates the need to deliberate over every individual rehearsal. In addition, having a regular slot allows you to block-book rehearsals. Block-booking rehearsals in advance ensures your regular slot won’t be booked by another band. Depending on your rehearsal space, block booking may also be more affordable than booking rehearsals individually. It’s likely that some compromise will have to be made in order to find a slot that works for all band members. However, if you don’t have time, you’ll have to make time. 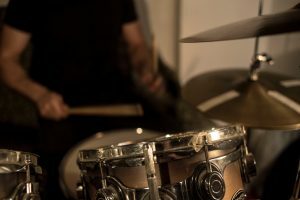 If you’re serious about the project, consider cutting out that weekly night out or that Sunday afternoon watching Netflix so you can rehearse with the band. When holding group discussion, be sure to take an objective and level-headed approach to handling other member’s feedback. Try to leave your ego and emotions at the door and prioritize the interests of the band collectively over your own personal interests. How often should a band rehearse? : Depending on the nature of the project, a band should aim to rehearse at least once a week. However, serious projects should consider rehearsing at least 2-3 times a week. 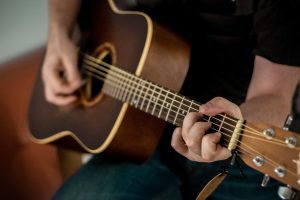 How long should band practice be? : In most cases, 2-3 hours is the ideal length for a band practice. Rehearsing for under 2 hours leads to limited productivity, whilst rehearsing for over 3 hours can result in burnout.